Originally developed for the British Ministry of Defense for use in chemical warfare suits, Chemviron Carbon’s Flexorb™ Activated Carbon Cloth now has many relevant uses in defense, industrial, and medical applications. Calgon Carbon is a pioneer in cutting-edge textile technology through its activated carbon cloth (ACC) for medical, defense, and industrial applications. Flexorb™ ACC has a microporous structure which results in rapid adsorption kinetics and the capability to adsorb to a higher level of purity. Flexorb™ ACC is also suitable for use in applications where there is a high humidity as its adsorption capacity is less adversely affected by moisture. The activated carbon cloth can also be custom-manufactured to comprise a mesoporous structure to adsorb larger molecules if required. 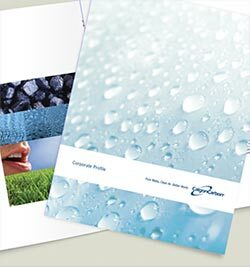 Remove odors and filter contaminants in certain Industrial Air applications. Protect against chemical agents with defense apparel. Improve wound healing with its antimicrobial properties and help eliminate odor.